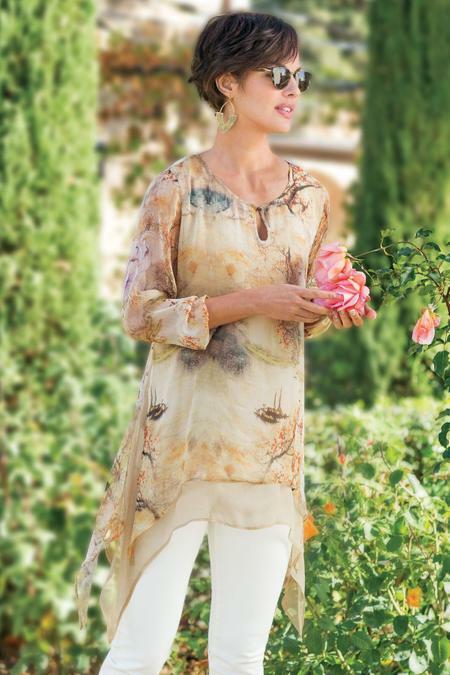 Dappled with botanicals in a wash of golden tones and sewn of silk crinkle chiffon. Detailed with an asymmetrical hem, side slits and solid chiffon underlayer in front. Comes with a soft jersey-knit tank. Top: silk/rayon; lining: cotton/spandex. Misses 26"/38" long.